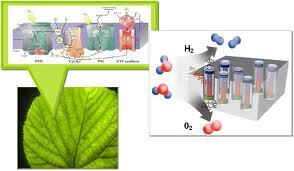 Synthetic Leaves Can Now Be Source Of Energy? Photosynthesis is the process by which plants convert and store energy from the sun. Gary Brudvig, a Yale University chemistry professor wanted to use the principles from nature to design a synthetic leaf, adding that research groups are working on the idea. Scientists are working on making synthetic leaves that can produce fuels directly from sunlight, water and carbon dioxide just as real leaves do. One day, the new leaves could help people heat their homes and drive their cars. Synthetic leaves are inspired by real leaves but they don’t necessarily look like them, according to Nathan S. Lewis, a chemistry professor at the California Institute of Technology in Pasadena. He is the principal investigator for a five year artificial photosynthesis project that was awarded a grant of up to US$ 122 million by the United States Department of Energy. The synthetic leaves will be probably be thin sheets of plastic embedded with light absorbing materials, or sheet of bubble wrap like material spread over a field that take in sunlight and water vapor a field that take in sunlight and water vapor and emit, for example, hydrogen or methanol. In a demonstration, Daniel Nocera, the Henry Dreyfus Professor of Energy at the Massachusetts Institute of Technology, used a slim piece of silicon about the size of a playing card. The silicon was coated with catalysts created by him and his group, that speed the breakdown of water into hydrogen and oxygen. The catalysts are placed directly on the silicon, so no extensive wiring is needed, as in standard photovoltaic cells to convert sunlight into current and breakdown water into hydrogen and oxygen. No extensive membrane is required either. He plans to use the hydrogen as a fuel. His system is designed for homes with modest energy needs. One of its advantages is that the water it splits into hydrogen and oxygen need not be pure. Synthetic leaves are hardly new, Dr. Brudvig said but they have been too expensive, too fragile, or too inefficient to compete commercially with fossil fuel systems. According to Dr. Lewis, they are going to take the best efforts around the world and bring them together in a system to absorb sunlight at the right energy to make fuel. They don’t have a system right now that can be used commercially for photosynthesis that competes with fossil fuels according to Dr. Brudvig of Yale. Developing one is of central importance if we are to move from a fossil fuel energy economy to a renewable energy economy. However, such systems could be transformative, Dr. Brudvig concluded. Duke & Duchess Of Cambridge In Their Final Day Tour In The U.S.